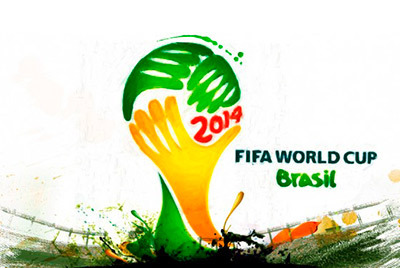 The 2014 World Cup in Brazil is getting closer and closer, and little by little the host nation is inaugurating the stages on which this major event will be held. There are 12 host cities in total. The 2014 World Cup in Brazil is getting closer and closer, and little by little the host nation is inaugurating the stages on which this major event will be held. There are 12 host cities in total, each with its own modern stadium, some already finished and ready, while others are still in the final stages of construction or renovation. Sao Paulo, Brasilia and Rio de Janeiro are considered to be the main host cities of the 2014 World Cup and have raised expectations with their respective stadiums. These important cities are where the most decisive games will be held. The Arena de Sao Paulo stadium will be the setting for the opening game of the World Cup. The modern Estadio Nacional Mane Garrincha in Brasilia will host other important matches, while the iconic Maracana stadium in Rio de Janeiro, the Brazilian's favorite, will play host to the grand final. This stadium will hold the opening game of the 2014 World Cup and five other matches, including one of the semi-finals. After the world cup it will be used as the home stadium of Corinthians, one of the biggest soccer teams in Sao Paulo. If you're looking for somewhere comfortable to stay offering easy access to the stadium, we recommend you pick a hotel in the Guarulhos region. Two excellent accommodation options within 10 miles of the stadium are Blue Tree Towers Analia Franco or Tryp Sao Paulo Tatuape. The Estadio Nacional is one of the most modern soccer stadiums in Brazil and the second largest in the country, boasting a capacity of up to 68,009 fans. The old Mane Garrincha stadium has been completely renovated and converted into an imposing colossus of a stage in Brasilia. The opening game of the 2013 Confederations Cup was held at the stadium and it will host seven games of the 2014 World Cup, including one of the quarter finals. There are a number of excellent hotels close to the stadium, including Saint Moritz, Nobile Suites Monumental, and Mercure Brasilia Eixo Monumental. After undergoing a total renovation for the 2014 World Cup, the Maracana can now hold up to 75,531 spectators and is the largest soccer stadium in Brazil. The remodeling of the stadium improved visibility and the number of access ramps, while also implementing new seating and a new roof, all the time maintaining the original architecture. The facade of the building was unchanged, in keeping with its status as an iconic national heritage site. The Maracana is the second most visited tourist attraction in Rio de Janeiro and wasn't closed to tourists, even during the renovation process. Soccer fans could watch the construction work from a glass tower, and could even take a piece of the old stadium home as a souvenir! The Maracana is the host stadium with the most games at the 2014 World Cup, the last of which will be the grand final on July 13th. There is an incredible quantity and variety of hotels in Rio de Janeiro, nevertheless, we recommend soccer fans stay in one of the hotels in downtown Rio de Janeiro, which is close to the stadium.